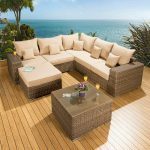 This rattan outdoor sofa set comprises of a double seat sofa, two single sofas, a coffee table and two ottomans for the best comfort. 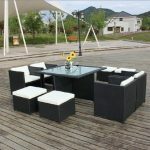 This furniture set is ideal for both outdoor and indoor purposes with its classic shape and look. 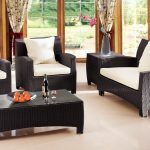 The rattan has been manually woven to create this fine sofa set and has been powder coated to give it greater durability. 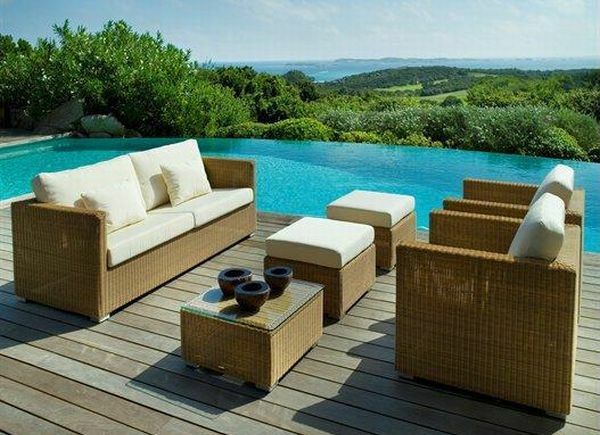 The sheer elegance and soothing appearance provides a touch of nature to this modern furniture design. 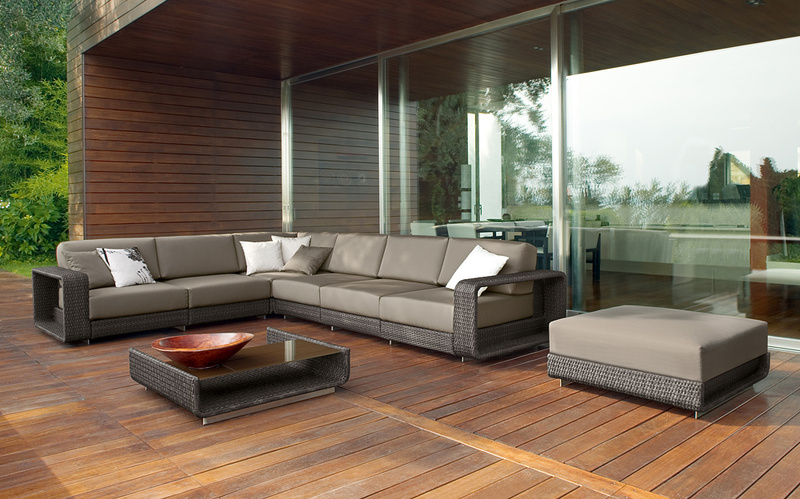 This classic design of rattan sofa set is a great pick for your outdoor garden. 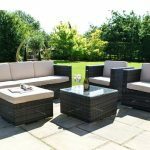 The comfortable cushioned seats will ensure that you have a great time lazing on your cozy chairs whilst enjoying your outdoor weekends. 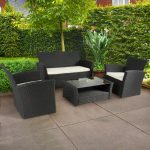 This sofa set looks very natural in the natural garden surroundings. 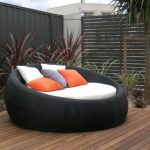 The sofa is made out of rattan that is woven on an aluminum frame making it lightweight and very durable. 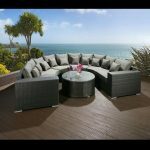 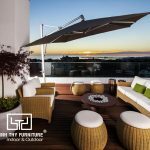 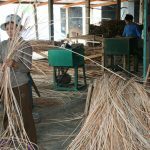 The rattan is UV resistant and does not wear out due to outdoor weather changes and the aluminum frame is also rust resistant. 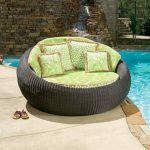 The cushions are made out of a waterproof polyester fabric.